The United States and China said Saturday they had reached consensus on measures to "substantially" reduce the US trade deficit with Beijing by "significantly" increasing its purchases of US goods, but offered few details. 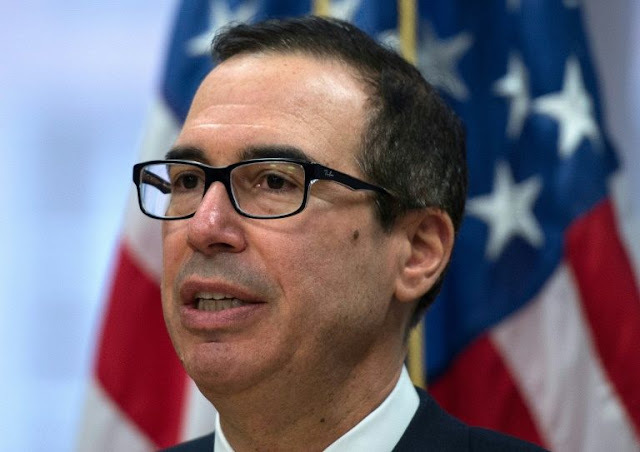 The joint statement, coming at a time of high tensions over trade, followed high-level talks in Washington between delegations led by US Treasury Secretary Steven Mnuchin and China's State Council Vice Premier Liu He. The sides had met two weeks ago in Beijing. "There was a consensus on taking effective measures to substantially reduce the United States trade deficit in goods with China," the statement said. "To meet the growing consumption needs of the Chinese people and the need for high-quality economic development, China will significantly increase purchases of United States goods and services." Last year the United States had a $375.2 billion trade deficit with China, a source of frequent and bitter complaint by President Donald Trump. The statement Saturday said some details would be worked out in further talks in Beijing. But it offered no specifics to indicate the magnitude or exact nature of the accord, and it listed no numeric targets. It said both sides had agreed on "meaningful increases" in US agriculture and energy exports. They also agreed to strengthen cooperation on protecting intellectual property -- a long-standing source of complaint from the US side. The two countries, their economies enormously interlinked by trade and finances, opened the delicate negotiations a few weeks ago in an attempt to resolve months of trade tensions. Trump has threatened China with tariffs on up to $150 billion of imports -- "we have been ripped off by China," he said recently -- prompting Beijing to threaten US agricultural exports. The White House is wary of hurting largely Republican-voting farm states or damaging the economy before legislative elections this November. But Trump is also keen to appear tough on trade. The talks are further complicated by the impending summit meeting in Singapore between Trump and North Korean leader Kim Jong Un, who has consulted with Chinese leader Xi Jinping ahead of the meeting. 0 Response to "US, China reach trade 'consensus' but offer few details: statement"